Sometimes I wonder what the MARINA (Mariime Industry Authority, the Philippines’ maritime regulatory agency) really knows about shipping history because off and on I will notice them offering to prospective operators routes where sea crafts have to compete with buses. Almost every time the sea crafts will lose to the buses. Badly. The reason is simple physics. Drag caused by overcoming water resistance is much higher than the rolling drag that has to be overcome by the buses. The sea crafts’ weight is also far higher than buses because of its thick hull and compartments plus the weight of the machineries and equipments it carries. Thus, on a given distance, the sea crafts’ fuel consumption will be much higher which then converts to a higher fare. Even if the sea craft can carry more passengers and cargo still on a per passenger basis the fuel consumption is higher. Add to that the fact that the sea crafts are much slower than the buses and it only docks in ports while a bus can stop anywhere. Even four decades ago, ship operators already tried the Manila-Bataan route. One operator even tried the hydrofoil. A decade ago even the venerable SuperCat tried competing in that route by offering a Manila-Orani route. Before them the Prestige Cruises and El Greco Jet Ferries also fielded High Speed Crafts (HSCs) in the route. Sadly, all attempts to compete with the Manila-Bataan buses failed. The High Speed Crafts used might have been faster than the bus here in travel time because it does not have go round like the buses which also have to overcome traffic but still the Bataan passengers are not willing to pay the much higher fare of the High Speed Craft. A few years ago, the MetroStar Ferry tried to compete with the Cavite buses by offering a Mall of Asia (MOA) to Cavite route. The builders of it tried to generate hoopla about its locally-built catamarans. Now however all its ships are laid up and one even burned and the other damaged. Like those which tried before them the MetroStar Ferry also lost to the buses. A few years ago, Dans Penta 1, a fastcraft, tried to compete with the Davao to Davao Oriental bus. She only lasted a few month before quitting. And to think she was also faster than the bus. But of course the fare was higher. Over fifty years ago, Madrigal Shipping had a Manila-Aparri passenger-cargo route. But when the road over the Caraballo mountains of Nueva Vizcaya became passable the ship had to go. It simply cannot compete. That was also the story of the passenger-cargo ships going to different Bicol ports like Larap, J. Panganiban (Mambulao), Mercedes, Tabaco, Legaspi, Bulan and Sorsogon town. When the road to Camarines Norte became passable the routes to Larap, J. Panganiban and Mercedes had to go. That was the story of the Bulan and Sorsogon ships, too. It was even a wonder to me the route to Legaspi and Tabaco lasted even when there was already a train. But when the bus came, again the ship had to go. This was the story of Samar ports too. Once upon a time Calbayog and Catbalogan were vibrant ports. Other ports in Samar had ships too like Caraingan, Laoang and Victoria. The Leyte ports Tacloban, Ormoc and Maasin were also vibrant then. Other Leyte ports hosting ships were Calubian, Baybay, Cabalian and in recent years Palompon and Isabel. 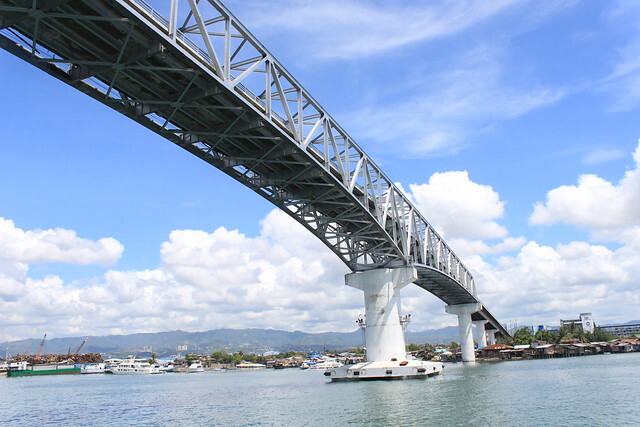 But when the RORO connection between Matnog and Allen (and San Isidro) was established and the San Juanico bridge was built the buses (and trucks) rolled and slowly all the Samar and Leyte port hosting passenger ships went kaput. The story of Mindoro, Lubang, Marinduque and Masbate is a little different. Once upon a time, small passenger-cargo ships including the batel (a wooden motor boat) were their links to Manila. But when the short-distance ferry-ROROs came the ships from Manila disappeared too. The buses were not crossing yet but the buses already go to Batangas, Nasugbu, Lucena and Pilar ports (the three ports were the connection of the three islands to Luzon). The passengers ride the ships to three ports and in those ports the buses to Manila will be waiting. Now even the buses roll to Mindoro, Marinduque and Masbate. 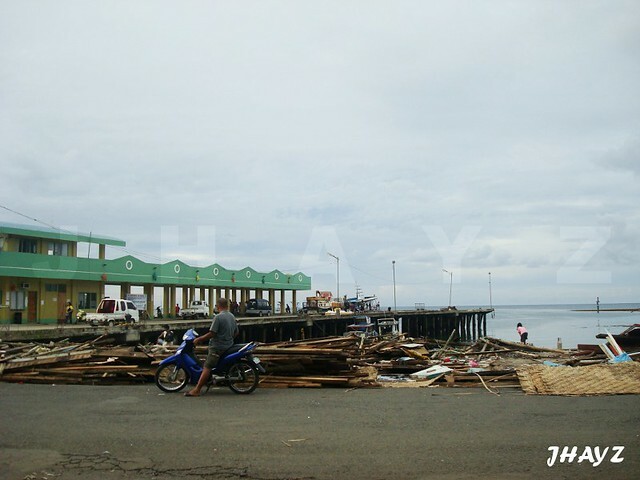 Panay island had the same story as Samar and Leyte. Before it had vibrant ports especially the great Iloilo port.. It also had other ports with passenger ships like Estancia, Culasi, Dumaguit, Batan, Malay, Lipata and San Jose de Buenavista. But when the Roxas-Caticlan route was opened linking Mindoro and Panay island the ferries left. 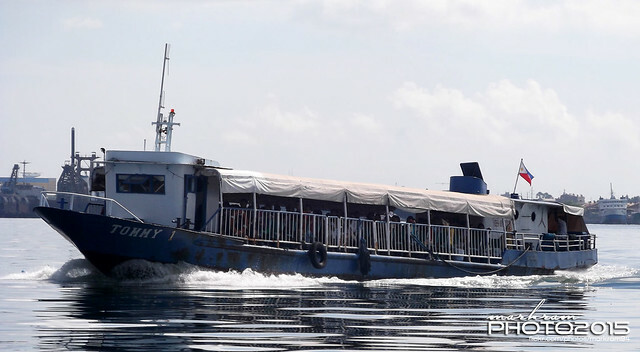 Now only Iloilo has a ferry from Manila but the frequency is already reduced. Now even the far Davao also have no ship anymore. The budget airlines is part of the reason. So do the buses rolling into Davao from Manila. The buses passing Surigao is also part of the reason why Surigao has no more liner to Manila. That is also true in Bohol. Currently, there is no more ship to Tagbilaran and part of the reason are the Manila buses going to Tagbilaran via Samar and Leyte. Once upon a time, Pagadian was a very alive port with ships going to Zamboanga and Cotabato. Then the highways east and west of that city were cemented. Now Pagadian has no more passenger ships. But in the Pagadian-Cotabato route it was the vans that drove off the ships. That is also true for the motors boat going to Malabang and Balabagan from Cotabato. Maybe soon even the Lebak-Palimbang motor boats from Cotabato will be gone because the road going there is already completed and the vans are already rolling. But clearly gone now are the Guiuan to Tacloban ships which lost to the bus and vans when a direct road to Guian from Tacloban was built not so long ago. Well, once upon a time too, ships were going round Mindanao to connect the different ports. But with the coming of roads they had to go too. Well, once, motor boats connected the Mindoro towns too. That was also true for Samar and Palawan islands. The losing streak of the ships is almost perfect except for one special case. This is the Metro Ferry ships connecting Cebu Pier 3 and Muelle Osmena in Mactan island over Mactan Channel. This is one case where the ferry is faster than the jeep and even cheaper. They do not take long to fill up and has many trips day round and even into the night. The single trip was actually the weak point of ships versus the bus or van when they lost in other places. Metro Ferry is different. They are almost like a big bus in departures.In Pasig River, the ferry might have a chance against the land transport with all the traffic it has to go through. But it seems another factor might torpedo it – the stench of the decaying Pasig River. In Davao, the motor boats going to Samal are still fighting against the bus. And they recently even gained a victory when the bus to Kaputian District quit. And so the motor boats immediately raised their fares (when before they have to slash it for parity versus the bus). There are still some Western Samar big motor bancas putting up a fight against the bus (and the jeeps and the vans). It seems like in Samal it is too early to predict the demise of these small sea crafts. That is also true for the motor bancas crossing Ragay Gulf. I can go on with more minor examples of sea crafts losing to the bus when roads were built and they had to compete with land transports. And lose. There are just so many and one of the more recent ones was when the Abuyog to Silago road in Leyte was finally built. I think it would be best for MARINA to study cases of the gone ships and routes now. Before they start vending routes again. Vending losers is simply an irresponsible act. And never mind if what they are vending are “supported” by “feasibility studies” done by people who have no real knowledge of our seas and routes. Their Ph.D. titles are just decorations anyway. Manila to Bataan HSC again? For ship spotters, there must be a good place where we can take good pictures of ships especially in Cebu which is the center of the maritime industry in the Philippines. 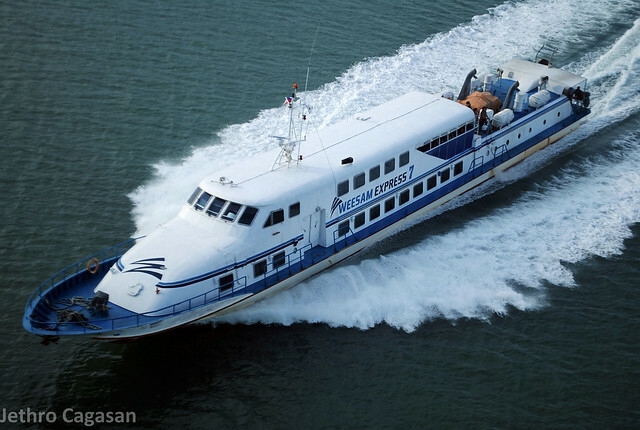 The most common way of ship spotting in the harbour of Cebu is to do a round trip ride on a Metro Ferry vessel to Opon, Lapu-lapu City from Pier 3 of Cebu City. 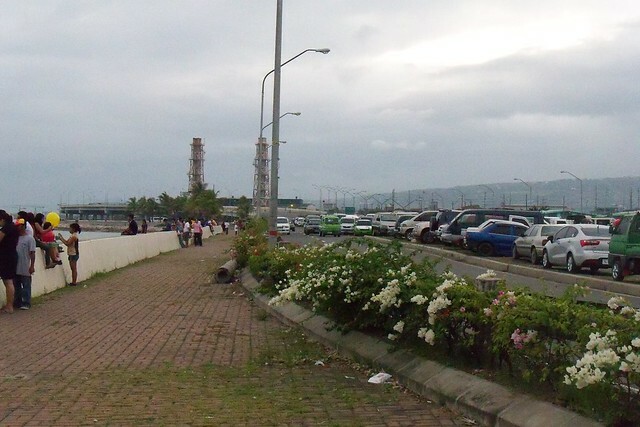 One way trip would just take 15-20 minutes and you can take plenty of pictures from Pier 4 and 5 where the vessels of Roble Shipping Lines, Trans Asia Shipping Lines Inc. and Cebu Ferries Corporation usually dock. You can also take pictures of some cargo ships that are anchored in the channel. It would be much better if you would bring a digital camera that has atleast 5x zoom. The higher the zoom range is, the better. While riding a Metro Ferry to mactan, you can also take pictures of ships located beyond Pier 5. The Carlos A. Gothong Lines‘ ships are dock in there wharf in Mandaue City. You can also try taking a picture of the Roble Wharf (Pier 7) and the Super Shuttle Ferry Wharf (Pier 8), still located in Mandaue City. Furthermore, try taking pictures of some passenger and cargo ships anchored in this part of the channel. The Ouano Wharf is also visible from here. The only problem in this part is the distance between you and the Ships is way too far. One-way ticket would cost P12.00 and a terminal fee of P1.00 will also be collected. Students and Senior Citizens will just be paying P10.00 and the P1.00 terminal fee. Just show a valid ID for you to enjoy the discounted fare. This style of ship spotting was discovered by some of the PSSS members in Cebu and is always used whenever we conduct a ship spotting activity. 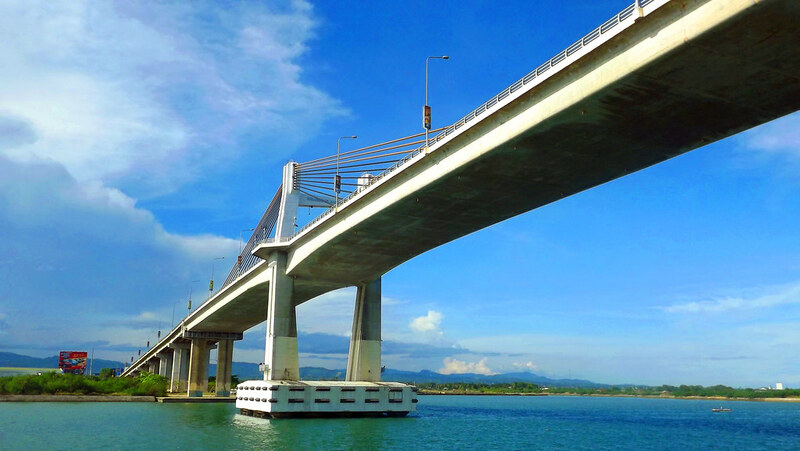 Another good place to spot is the Marcelo Fernan Bridge (also called the new bridge or the 2nd bridge) which connects the separate islands of the mainland Cebu and Mactan. You can take pictures of ships that would pass under the bridge. This is the only way we can have aerial shots of some specific ships. The only thing in this place is the heat of the sun especially when you go up there at noon time. But on the right side of the bridge, the side that faces the north, there is a small waiting shed-like there and you can have a good shade there while enjoying the cool air. The authorities already have installed security cameras around the bridge for them to make sure that the place is secure and nobody would attempt to jump and commit suicide there. Also, don’t cross to the other side of the bridge when you are located at the middle part of the bridge or don’t look too much at the people located at the bottom of the bridge because if you do so, authorities will get your attention through their P.A. system installed at the bridge. They will warn you with “Hoy Dong, Ganina raman ka, unsa may plano nimo? Mu-ambak?” (Hey kid, you have been there for quite sometime already, do you have plans to jump?). I already received this warning once, haha! You can also ship spot at the mini-park located below the bridge. The tips of the bridge both have a mini-park. That is a very nice place to ship spot, an ideal place where you can unwind and be with yourself while waiting for the ship to pass by. This is also a beautiful place for you to have dates with your girlfriend and talk about important matters between you and her (and believe me, the place is such and ideal one! The girl will fall in love with you much more! Just bring a 1.5 Liter coke and some “Chi-chiryas” and presto, you will have a date!). This is also a perfect place where you can just hang out with your friends. Concessionaires and stores are also located on the area. This style of ship spotting was introduced to the group by Mr. Jonathan Bordon. Be there atleast 30 minutes before the schedule given above as they will sometimes pass earlier than expected. 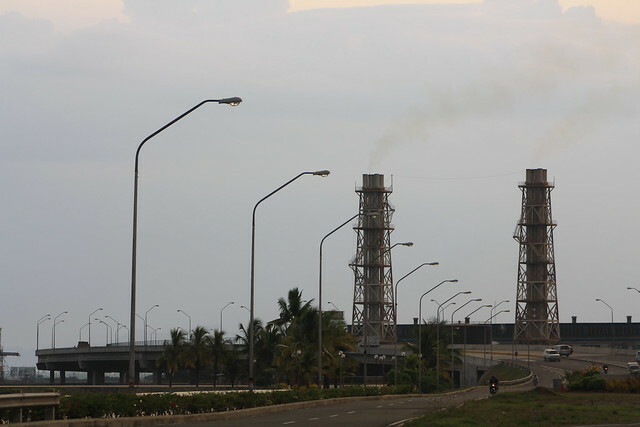 Another ideal place to ship spot is in the mouth of South Reclamation Project (SRP). The location is just beside the Malacañan Sa Sugbo and is just a few meters away from Plaza Independencia and Fort San Pedro. You can catch ships that would ply from Mindanao and Bohol from this location. The BRP San Juan and some Cokaliong ships are visible from here. Bigger ships like the Superferry also pass here. And like the mini-park located below the bridge, this is also and ideal place for you to unwind. You can also watch the sunset from this location (bring your friends or your girlfriend here and they’ll probably enjoy the view and the air.) There are no concessionaires or stores on the area so buy your snacks before going there. The schedules above are subject to change with any prior notice, especially with the Superferries, Negros Navigation and Super Shuttle Roro. Probable cause of delay would be cargo loading. Nevertheless, this will be a very good place for ship spotters to spot. This place was discovered by yours truly and Vincent Paul Sanchez. Informations on ships for sale and some ferries that were sold to other shipping companies are mostly found in Ouano Wharf. It is located in Mandaue City and is just a ride away from Parkmall Cebu or Cebu International Convention Center. In this place of ship spotting, you will find ships that are currently for sale or ships that are under maintenance. This is also a good source of informations on the fate of some ships, who bought them, what will be there route and some other questions that are related with the shipping industry. There is also a daily trip to Tubigon, Bohol and Camotes Island from here. There are more ship spotting areas in Cebu but those mentioned above are the most accessible and nice on. These are some of the most basic way of ship spotting in Cebu and these are the most basic yet wonderful place to do it. So what are you waiting for? Come and ship spot with us!